to become Junkers general manager. only parts for the main Junkers plant at Dessau. 1935 the workforce of ATG had reached 3,902 men. The company became more and more important. bombers, working 6.6 million hours. decreased to 27, but in the same time the firm started to rebuild many Ju 86s with new engines. In 1939 the number of new aircraft produced jumped to 234, in spite of the halt of the W.34 construc. the new Ju 86G sub-types and many export aircraft. ATG for example built 16 aircraft in parts for the Swedish SAAB firm. The rebuilding of the old Ju 86A/D continued. In December 1939 the workforce of ATG reached 9,131.
to other sources a total of 1,286 Ju 88s were built at ATG. It is difficult to obtain an exact figure as ATG also rebuilt many badly damaged aircraft of their own manufacture. 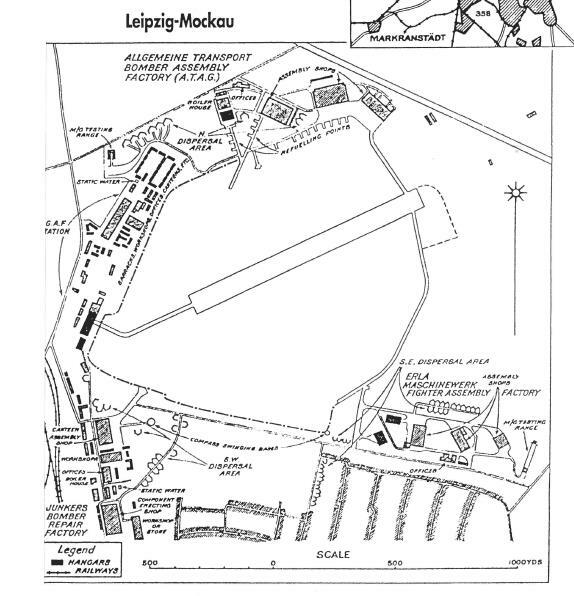 The following programme at Leipzig-Mockau was the building of the Ju 188 bomber and reconnaissance plane. The first was assembled in January 1944. Several sub-types were constructed, including the A-2 and from the summer also the S-1 The production was disrupted by several bombing raids by the USAAF, such as on 29 May 1944 and 20 July 1944. Nevertheless ATG continued the building of the aircraft until January 1945; a total of 244 Ju 188A-2, D, S,Ts were assembled. The firm built also parts for its aircraft, the fuselage and tail assemblies but not the wings. 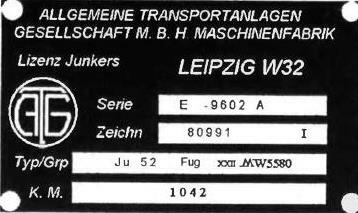 In parallel with the Ju 188 production ATG also entered into the very important Ju 388 programme in 1944. In August 1944 the first Ju 388 fast bomber was produced at Merseburg, followed by the Ju 388L-1 in October of that year. ATG was to build 100 aircraft a month; as usual the firm assembled fuselage and tail sections but not wings. Parts for the assembly of many aircraft were produced, but ATG only managed assembly of about 40 aircraft when in February 1945 the production programme was halted due to the worsening strategic situation. At this time the firm was instructed to tool up for the production of the very modern and fast Ta 152C fighter. Due to the relatively abrupt end to the war, ATG could only produce a number of component parts, but no aircraft. All the Components were captured by the Soviet troops, who completely dismantled the plant and in 1946 along with all the production machinery sent everything to the Soviet Union. In 1952 ATG reappeared in West Germany, the same year merging with the Siebel firm to form SIAT, who resumed aircraft production in 1956.